I'm working on a design to 3d print (case for an off-brand Android tablet)... I've got it looking like I'd like it to however I wanted to print a couple corners alone to check for fit. I made a copy and used some cube holes to get rid of everything but the corners I want but it won't export. As it is working I see it act like it is repeating the last several "cuts" I made before I got to the final design so I'm wondering if that is why? Anyway I was wondering if there was a way for it to "forget" the steps and just simplify the design to the final product of the couple corners I want at this point. TIA for any suggestions!! You can create a "Part" out of any groups to flatten the groupings for a selection. You can simplify your scene by making "Parts" out of reused objects, such as your columns. Once an object is a Part, its sub groups are flattened and it becomes available as an efficient shape in the Shapes Panel under the "Part Collection" category. 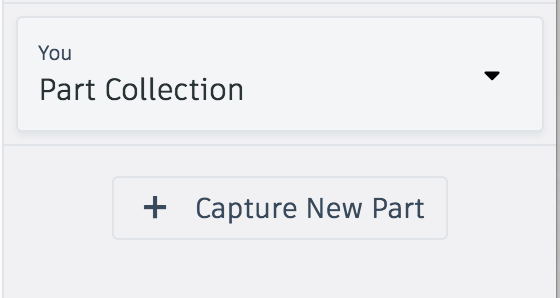 To create a Part, you can select the object, such as your column, then click "Capture New Part". This will simplify your scene and allow you to export due to reduced nested grouped complexity. Is there any way to ungroup that part for modification later? Any part you have made and available in your "Parts Collection" cannot be ungrouped. This is the reason it is more efficient to use in your scene.